Investing online in the lucrative currency market can help you to earn serious investment income – and it is much more exciting than watching your stock portfolio ebb and flow. Understand the key concepts and terms – For instance, the currency that you are selling is called the base currency, while the currency that you purchase is referred to as quote currency. 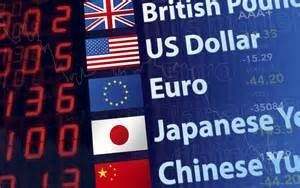 Understand exchange rates – that is, the amount you must spend in quote currency to receive the base currency. Also, long and short positions should be understood or else you may end up swapping currency in the reverse order than you intended! Bid and ask prices are a part of the equation, and the spread is the difference between the bid price – what a broker is willing to pay for your base currency, and the ask price – what a broker will sell your base currency in exchange for quote. Confusing? Take the time to fully understand these concepts to ensure that you are ready for the challenge of online investing. Choose which currency you want to trade – You can start by determining if the value of the U.S. dollar is poised for an increase or a decrease. If the dollar is forecasted to decrease, you may want to trade for other currencies. The question then becomes - “which nation’s currency affords a good trading partner for my dollars?” You’ll need to keep track of several factors to ensure a responsible trade. Firstly, is the other nation stable, free from extreme political or social unrest, or other factors that can cause currency instability? Are major events about to unfold – like a national election or major political policy change that can cause a fluctuation in the value of the nation’s currency? Keep an eye out for GDP results, financial data, or other fiscal releases of information that can point to the value of the nation’s currency. Determine if you are making money – Forex trading is a fast-paced investment activity that can yield significant profits in a short amount of time. That said, it is important to understand how currency traders calculate profits. The word pip is a vital concept to understand. In this trading realm, a pip equates to .0001 of a change in currency value. For example, if your trade results in movement from 1.365 to 1.367, your overall currency value has increased by twenty pips. By simply multiplying the number of pips that your account has changed by the current exchange rate you’ll effectively calculate how much your account has either decreased or increased in value. Find the Right Brokerage Firm and Platform – Opening an online forex brokerage account is an important step, and the firm with which you partner must provide access to education, support, and training, as well as a reliable and easy-to-use trading platform. Online brokers must provide around the clock access to trading facilities, and must constantly innovate in order to remain relevant in this fast-paced market. Economic calendars that focus on news-worthy events and relevant global data can help to guide trading decisions – so the better online platforms must include this, too. Factors like transaction costs and the quality of the broker’s website are important, too, but you’ll truly want to focus on gaining access to quality customer support, a transparent operation, and a simple user interface. Everything else is of second-tier importance. Start Trading! – Once you have activated your account, completed all necessary paperwork, and you have funded your brokerage account, then it is time to start investing online! In order to responsibly start the trading process, you’ll want to conduct some serious and relevant research on the targeted country’s economics. Start by looking at historical data, graphs, or other charts to gain an insight into any patterns that may help guide your trade. Think about the nation’s fundamental strengths and weaknesses and how it will react to pending global concerns or national events. Keep an eye on your margin – One interesting difference between investing in securities and trading on the Forex market is that you can leverage your investable currency by trading on margin. Most brokers require that you have at least 1% of the value of the trade in your brokerage account, but a good rule of thumb is to have a minimum of 2%. Work with your broker to understand the different kinds of trades – market, limit, or stop orders, and then determine how to position your account to best balance risk and reward. Earning significant profits in a short period of time is a hallmark of currency trading. One of the most important aspects of successfully managing your account is to keep close tabs on your profitability – while keeping your emotions in check. It is normal to bite your fingernails a bit as you ride the rollercoaster of market volatility, but continue to conduct educated research and approach the Forex market as one of the most exciting and rewarding investment opportunities available today and you’ll thrive.